Heart Printed Hand made Leather Journals has sweet heart decorated with common coptic bound. 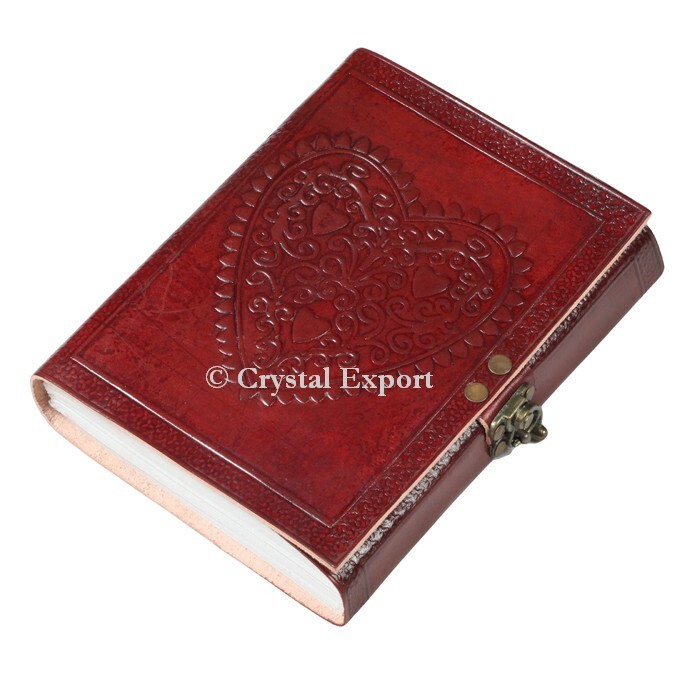 It has stylish, Cool looking With lock buckle.It has perfect size of 5 by 7 and easy to carry in your bag.It has Numbers of plain sheets plenty to write down any notes, every day plans, unpleasant sketch or thoughts for your book, novel or projectile diary. Order Online at Crystal Export.